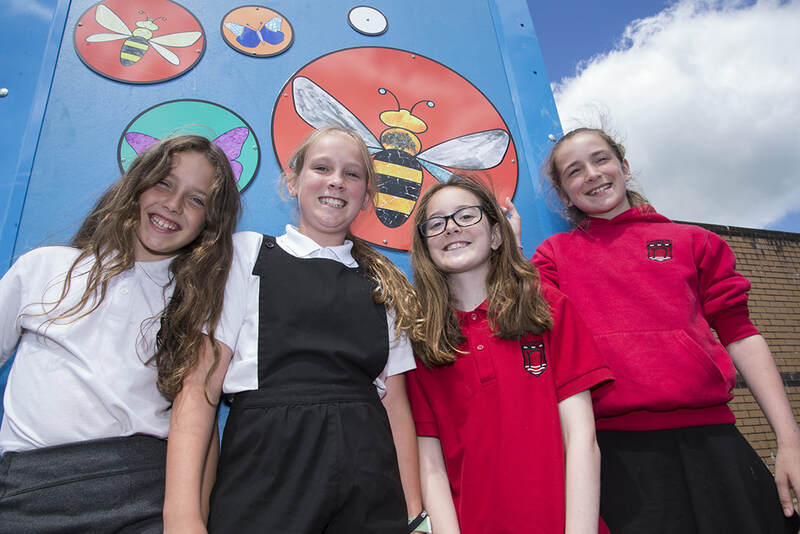 Talented youngsters from across Swansea have been given a close-up look at the 60 metre-long artwork they created at Morriston Hospital. 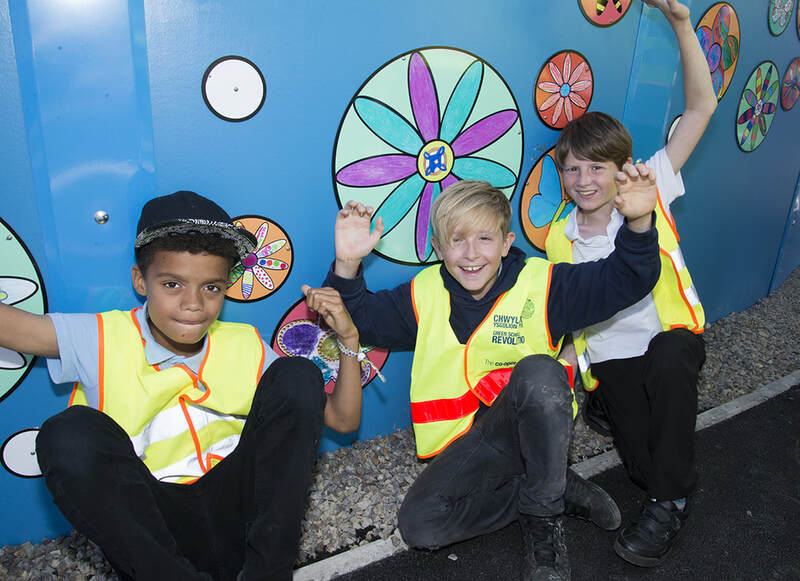 The pupils from 15 different schools contributed illustrations which have now taken pride of place on construction hoardings put up while the hospital’s major redevelopment work continues. The hoardings line a route leading from near the Welsh Centre for Burns and Plastic Surgery down towards Ty Olwen as the old outpatients department is demolished. Capital arts manager Heather Parnell said: “We wanted to make the pedestrian areas more attractive while the building work goes on. 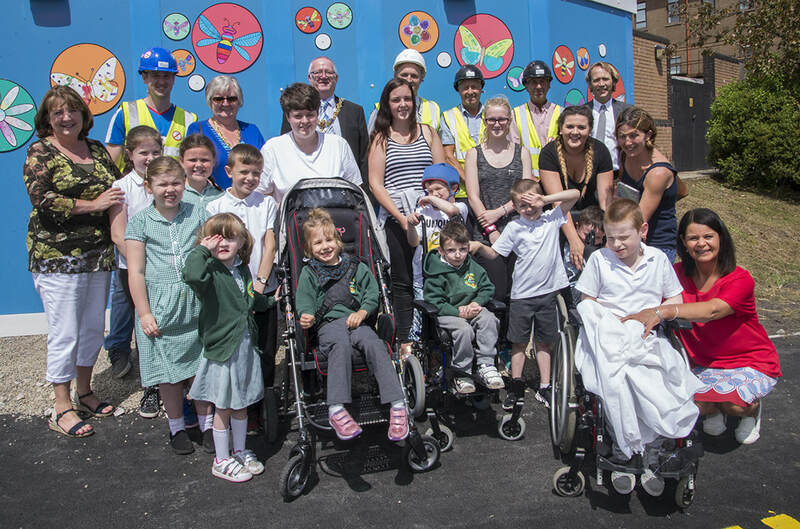 The project was organised by ABMU working with site construction firm Interserve and Locws International, the Swansea-based charity aimed at making the arts more accessible to the public which linked up with schools. 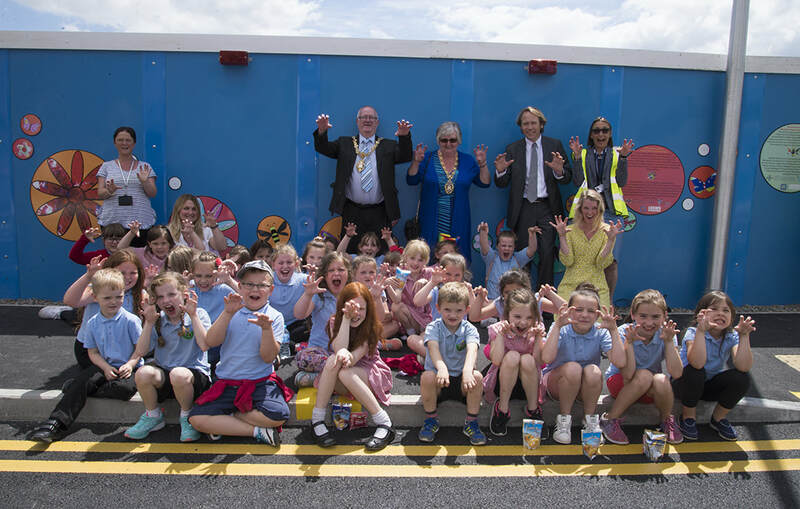 The children were invited along to see the completed mural, set to be in place until the redevelopment work is complete, at a launch event which was also attended by Swansea Lord Mayor Philip Downing and Lady Mayoress Lilian Downing. Parent Dara Emanuel had a special reason for wanting to be at the launch alongside her son Pentre’r Graig Primary pupil Isaac (right). His older brother Joseph needed treatment at the hospital’s burns centre when he was just three and then had to come back to the hospital for follow-up appointments. She said: “If this mural had been there then it would have been a welcome distraction for him. 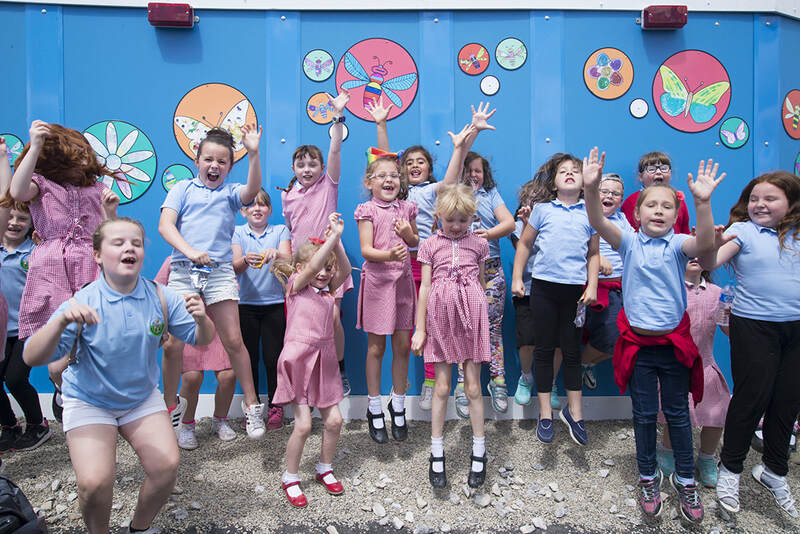 Oystermouth Primary School teacher Debbie Webster said coming to the event was very important for her pupils. 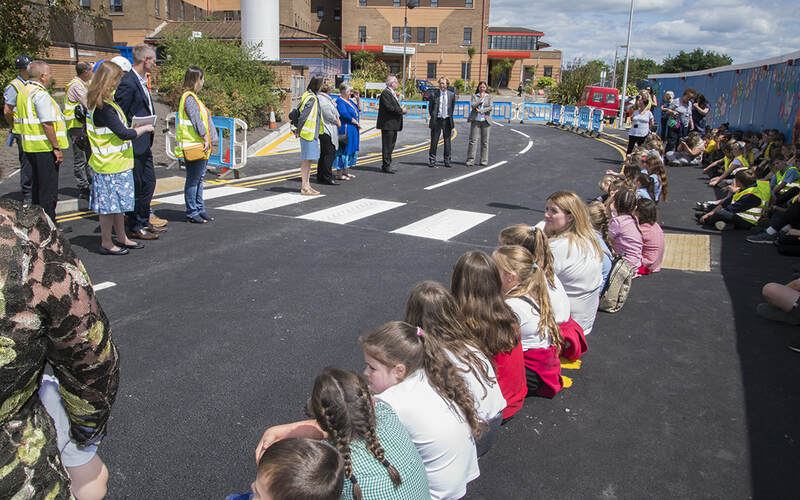 “It’s been good to get the children involved and to be able to bring them to a hospital for a positive reason. They will take this experience away with them. They are very proud to see their artwork on display in a public place where it will get a wider audience,” she said. 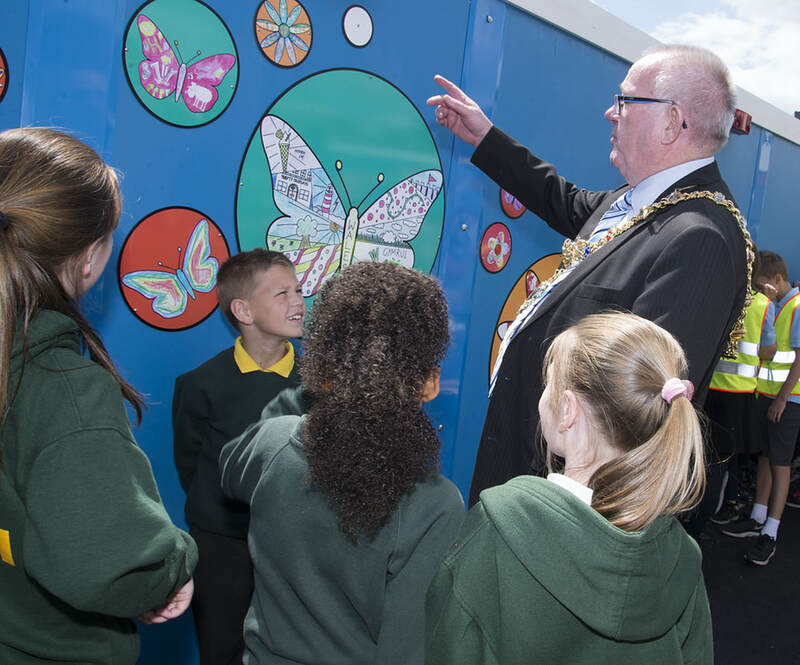 Lesley Stuart, project manager for ABMU, described the launch of the mural project as one of the most memorable days of her career. 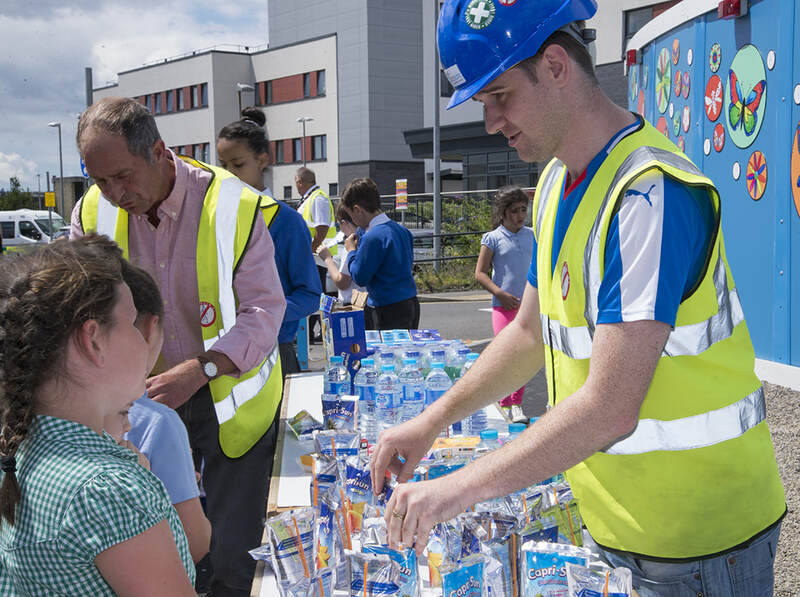 “The energy and enthusiasm of the children was invigorating and inspiring, the co-operation and support from Interserve was tremendous and the whole day demonstrated the workforce and community coming together,” she said. 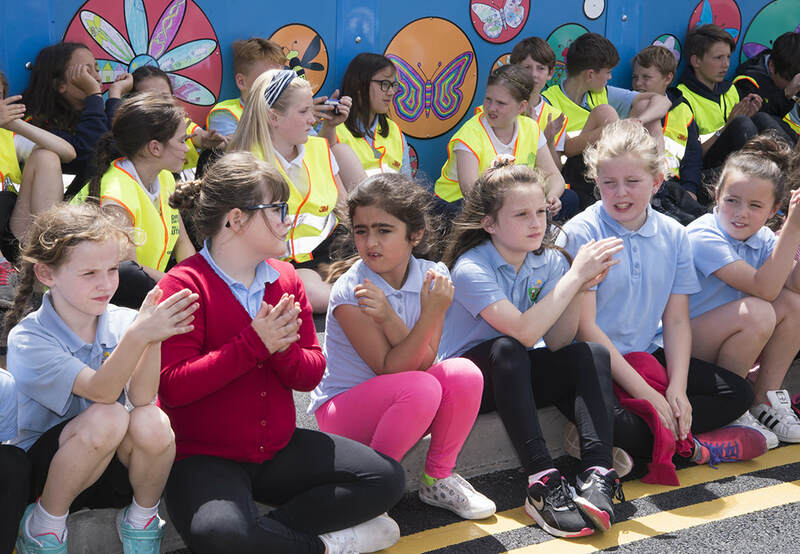 The schools that took part in the project were Craigcefnparc Primary, Birchgrove Comprehensive, Cadle Primary, Swansea Step Ahead Education Centre, Ysgol Pen y Bryn, Christchurch Primary, Waunarlwydd Primary, Pentre'r Graig Primary, Cwm Glas Primary, Penllergaer School, Oystermouth Primary, Newton Primary and Oakleigh House.